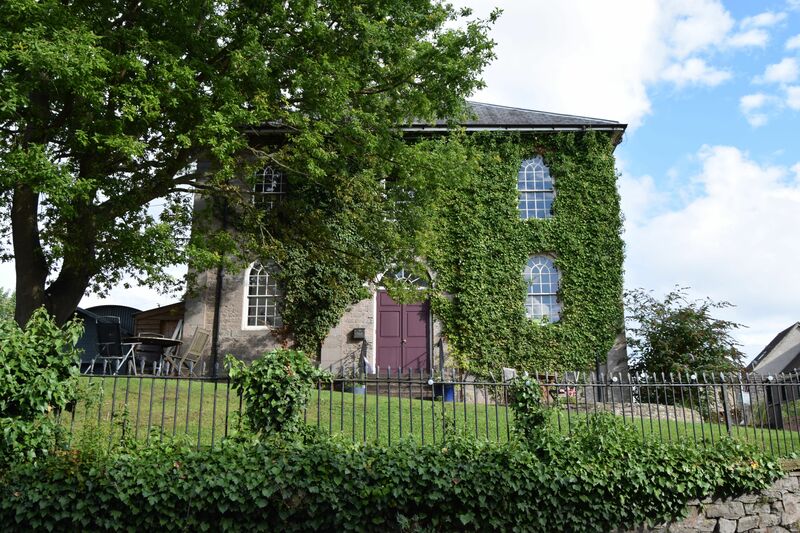 The base we chose for our South Wales excursion was Hay-on-Wye. Obviously I’d heard about it due to the annual book festival, but also because my friend is a book fanatic and has visited this place to stock up his library. Getting to Hay-on-Wye from anywhere is a chore as it’s in the middle of nowhere, well, on the edge of the Brecon Beacons close to the English border. As we were coming from Manchester we had the choice of three routes – the A5 through the west of Shropshire, the A49 through the east of Shropshire or the longer route via the M6/M5. Unfortunately the first two routes were ruled out for us due to the Creamfields festival in Cheshire, so we had to take the M6/M5 route. All I’m saying is: don’t be fooled into thinking that driving on a Sunday down the M6 will be a breeze – roadworks plus Birmingham equals traffic hell. That’s before the random cross country journey that involved finding an alternative route because of a car accident. It was one of the few times I wished for a sat nav, as the iPhone was useless as the signal cross country was either non-existent or GPRS. It felt like we were guided by divine intervention rather than anything else. So what should have been a three hour journey took four hours instead. 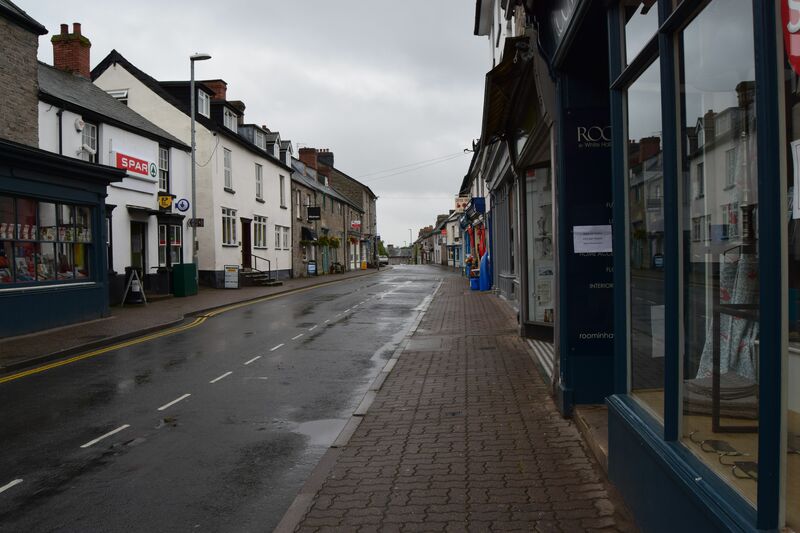 Hay-on-Wye itself is a lovely stone built town, full of character and rather well-to-do. At the centre of the town, on a hill, is Hay-on-Wye Castle – its remains overshadow the little town. 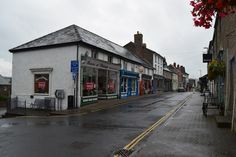 These types of country towns have evolved over centuries and as a result the architecture is a real historical mixed bag. There’s the distinctive Clock Tower that overlooks the town. The small stone built Butter Market plays host to the various markets that pop up. I lost Neil to the Butter Market for a couple of hours as there was a record fair going on. There are lots of places to explore and if you are an architecture photographer get there early as the streets get very busy late morning into late afternoon. We stayed in the Old Black Lion on the edge of Hay. It’s a pub, restaurant and B&B which dates back from the 17th century, although parts of it date from the 13th century. It’s one of those characterful places with low beams and wibbly-wobbly floors, and it probably plays host to a local ghost or two. You feel like you are drunk climbing the stairs to the bedrooms as the stairs are at an odd angle. If you are tall like us, then be really careful as you could quite easily knock yourself out on the beams. Our bedroom overlooked the car park and the fields beyond so you really felt connected to the countryside. The room was decorated in red and gold and had an en-suite bathroom. As with these old buildings, en-suites can be a bit bizarre and our en-suite was split level with the shower on one level and the toilet and sink on another. It was also dicey for both Neil and myself as you had to mind your head going down the steps otherwise you could give yourself concussion. The breakfasts were really nice too with ingredients sourced locally and I would wholeheartedly recommend the restaurant for lunch and evening meals as they were the best we had on our stay. The Beef and Butty Bach was ace and the Choc and Port Cake is divine. If you are staying Sunday in Hay it’s best to book a table here as not all the restaurants are open on a Sunday evening. I’d definitely come here again. 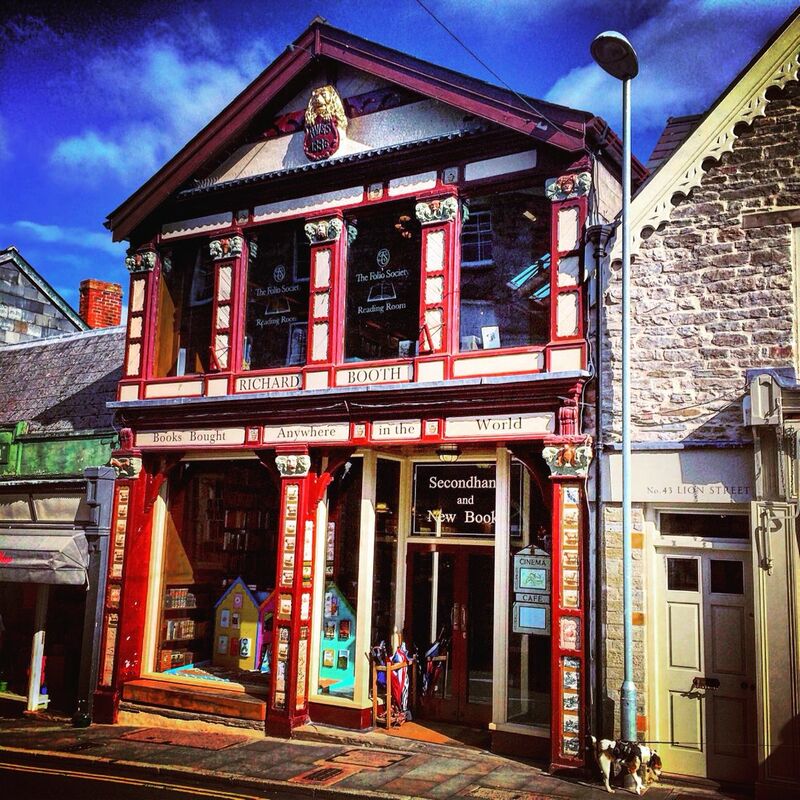 Obviously Hay-on-Wye is known for books and we explored most of the book shops. I was surprised how pricy some of the second hand bookshops were, but my book fanatic friend did say later that he doesn’t get as many books as he used to in Hay because of the prices. That said, my favourite bookshop was the Hay Cinema Bookshop on the edge of town. It’s massive and I don’t think I’ve been into a larger bookshop – you could lose yourself for days in here. The cheapest place to find books is at Hay Castle which has an assortment of cheap books and you pay for them by leaving money in the honesty box. There is more to Hay than books and if you like your craft, vintage and locally-made stuff, this place will have something for you. 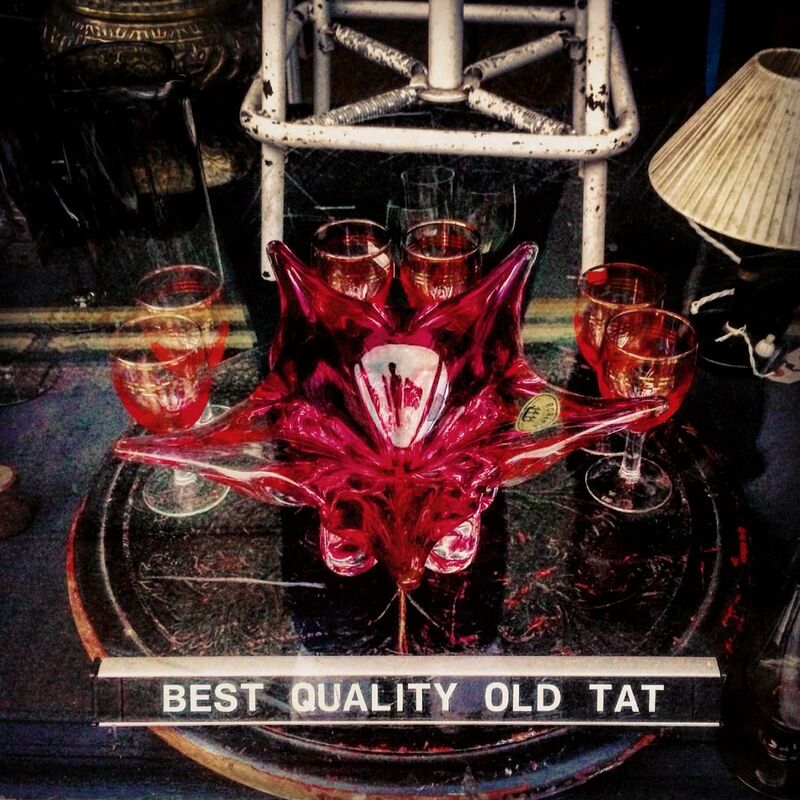 It made me laugh to look in one vintage shop where they had a sign in the window with the words “best quality old tat”– so true. Another vintage shop was called “Nantique” – top name. The Old Electric Shop had the classic combo of café, art gallery, upcycled furniture and vintage clothes - definitely a place to go to get inspiration for craft projects. A special mention goes to the Fudge Shop who make their own delicious fudge and were very helpful too. They recommended the Thursday markets as you can get really good sourdough bread from there. We did visit the local charity shops too. Plenty of books obviously, and Neil found some vinyl to rummage through. The St David’s Charity Shop was particularly overpriced, but the rest were fine, even Oxfam to Neil’s astonishment! There are quite a few pubs in Hay-on-Wye and as we were staying three nights we managed to visit most of them. The Blue Boar seemed pretty busy doing mainly food. It was nice to see generations of a family happy to be having a meal together. There was also an American couple giving a running commentary of their trip to everyone in earshot. The ThreeTuns, again another pub that specialises in food and in particularly pizza. They seem to attract a younger clientele and it made me laugh to see the most sedate middle class hen-do known to man in the pub. Honestly they were so tame – the bride wore a classy sash and crown, her friends were dressed in sensible walking gear and they probably drank a maximum one bottle of wine between them. The Rose and Crown was a very different affair – it seemed to be the only bar showing sport in Hay and was only ever busy when there was a match on. It had a funny smell and the barman looked as if he’d been a roadie in the 1970s. We only had one drink in here, but the music was the best we had heard in Hay. The Kilvert was particularly quiet too as we were the only ones in there, but I think that was because it was a Tuesday evening rather than anything else. We did drink in the Old Black Lion too and they have a nice back room which is lovely to relax in with a glass of wine or a pint. The locals seemed to hang out at the local social clubs - the Conservative Club and the Royal British Legion. However we didn’t go in there as we were so occupied with the other places. The other place we ate in was Tomatitos, which is a cracking little tapas bar. It was very busy and it’s good to get there early. The tapas was the best I’ve had for a long time – the chorizo was lovely and tender, the meatballs were tasty and everything was absolutely spot on. My book fanatic friend really rates this place too and it comes up as one of the best places to eat in Hay according to Trip Advisor. Hay-on-Wye is a nice place to visit and clearly knows how to rock its book angle for the tourists like ourselves. What impressed me most about Hay was not the books, but the place itself. It’s such a lovely part of the world and whilst the weather was not particularly great during our visit, we had a good time exploring the place, taking photos and having really good food. I’d be back like a shot and if you are ever in this part of the world, you must visit.